All sports fans know when I say Final Four, I mean the NCAA Division 1 basketball tournament, often called either “The Big Dance” or “March Madness”. The 68 best collegiate basketball teams play a single elimination tournament to determine the National Collegiate Champion in basketball. The tournament was started back in 1939, and has since been called, among things, March Madness, the Final Four, and The Big Dance. Thirty two of the teams selected are conference champions. The other 36 teams are selected by the NCAA Selection Committee. The selected teams are divided into four regions, seeded based on record and strength of schedule. After four games played by the lowest eight ranked teams, the remaining 64 play a tournament over three weekends. Each weekend eliminates three-fourths of the teams. The final 16 remaining after the first weekend are called, “The Sweet Sixteen”. The remaining four after the second weekend are called, “The Final Four”. This “Final Four” weekend is the biggest weekend in college basketball. 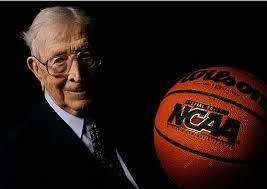 The UCLA Bruins have won the most NCAA titles with eleven, ten of which were coached by a legend, John Wooden, often called, “The Wizard of Westwood”. In fact, the first and only Final Four championship game that I have attended was in 1972 at the old Los Angeles Sports Arena. UCLA was victorious over Florida State by a score of 81-76. My California Golden Bears won their only NCAA Championship in 1959, over West Virginia, 71-70. 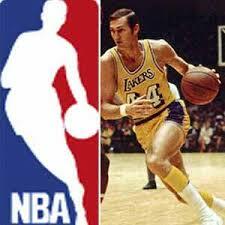 The star for West Virginia was Laker great Jerry West. Cal had no real stars, but was coached by one of the best coaches of all time, Pete Newell. The following year, Cal was the runner-up to Ohio State. The tournament has grown since I last attended. The weekend of the Final Four is now an extravaganza much like Super Bowl Weekend. Between the two semi-final games on Saturday, and the Final on Monday evening, numerous other events are held. This year, the biggest event is a three-day free music concert in downtown Dallas, headlined by “The Boss”, Bruce Springsteen and the E Street Band on April 6. Officially, it is the March Madness Music Festival, to be held in Reunion Park, on a first come, first served basis. I wonder what time I need to show up? Other headliners for the three-day fest are Jason Aldean (it is Texas, after all), The Killers, and Tim McGraw. I just want to see and hear ‘The Boss”. Reunion Park is located in downtown Dallas, about 18 miles from Texas Stadium. The Championship game will be held Monday, April 7. The Texas Stadium venue is also the site of the world record for basketball attendance. The 2010 NBA All Star game drew a record crowd of 108,713. I foresee a total madhouse. My plan is to arrive Saturday, and make sure I secure a good place to hear “The Boss” on Sunday. But also, when I arrive on Saturday, I plan to buy my tickets for the Championship game on Monday night. But I will buy my tix from one of the two losing teams’ fans on Saturday, hopefully at a big discount. As they walk out of the stadium, rather disappointed, I will take advantage of their utter disdain for all things basketball. After all, 50% of all teams have to lose!!! When I said the Final Four has grown, the entire CBS package brings $500 million to the NCAA. The revenue is divided among the teams and conferences, based on a rather complex formula. You can imagine back in 1972 when I last went, the TV contract was quite small in comparison, and there was no three-day music concert. My how things have changed. I do not even recall a merchandise tent outside of the old LA Sports Arena. A good time will be had by all!